Stop revised immigration control system! 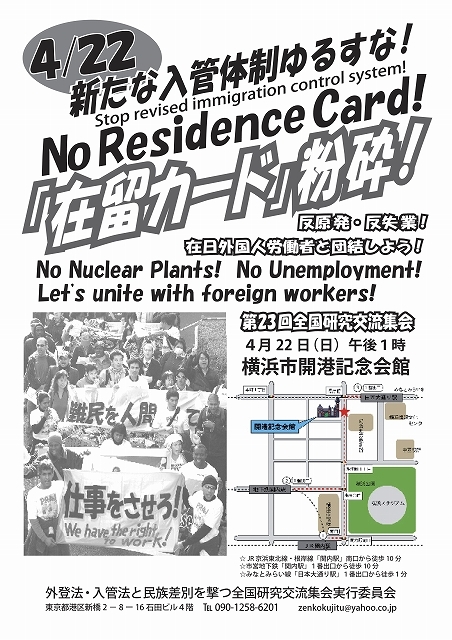 No Nuclear Plants! No Unemployment! Let's unite with foreign workers! Copyright © 神奈川労組交流センター All Rights Reserved.